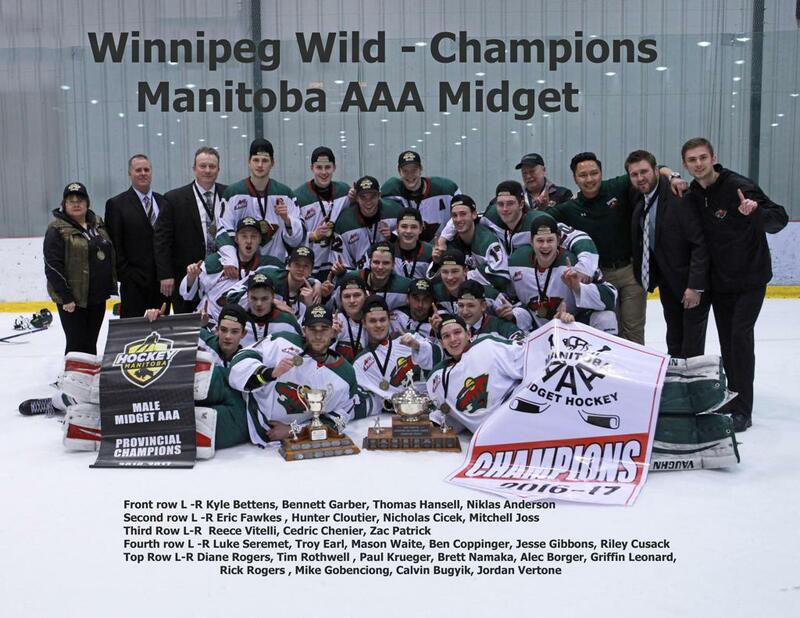 On Monday March 20th, 2017 the Winnipeg Wild capped off a successful 1st place regular season finish with a Provincial title. The Wild repeated as the MMAAAHL Provincial Champions defeating the Yellowhead Chiefs in a best of five series with a 4-1 victory at the IcePlex last night. The Wild now move on to represent the Province at the Telus Cup Regional Tournament in Steinbach Manitoba which takes place from March 30th through April 2nd. Good luck Wild, enjoy the ride!